No one ever imagines they’ll find themselves, their property or their tenants subject to a serious fire. However the reality, according to the Home Office’s latest Fire and rescue incident report, is that in excess of 200,000 fires are attended to by firefighters in the UK on average every single year. In light of these figures, many are now turning to preventative measures to safeguard themselves or their tenants from these serious risks and one of the best, cost-effective and aesthetically pleasing solutions is to have a professional fire sprinkler system installed by a reliable and professional company such as London Fire Sprinklers. What you are investing in is peace of mind and potentially one day, a life-line. 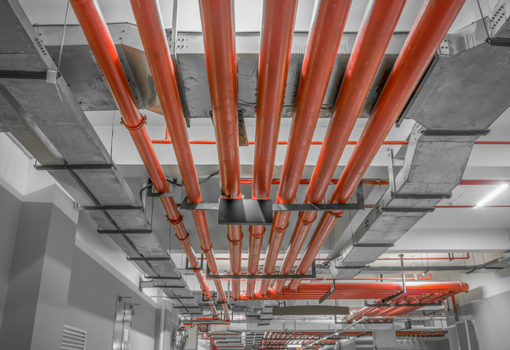 We help our clients, many of whom are architects, developers, M&E consultants and landlords comply with part B of their building regulations, by providing them with the best advice, design and installation service of the increasingly popular fire sprinkler and mist water systems within the UK. 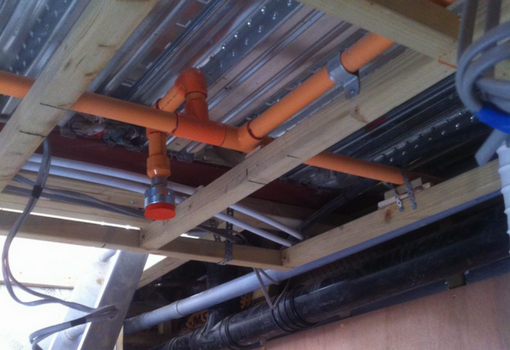 Our background as plumbing, heating and mechanical engineers provides us with unique knowledge and understanding of water supply regulations and plant room installations, that not many fire sprinkler companies have. With over 14 years experience in this field, we have seen a huge rise in the demand for fire sprinkler system installations within our company and, as a result, London Fire Sprinklers was born, and we have been installing systems throughout London ever since. Our knowledgable team of engineers are fully qualified and undergo regular training, keeping up to date with current regulations and products. From the initial design to commissioning the project, we take care of every aspect of the installation.